The Qolsys QR0051-840 is a 7-Volt DC transformer designed for use with the Qolsys IQ Panel 2. By using this transformer, the user can run an 18 AWG wire of up to 100 feet to the system. With the regular 5.5 VDC transformer, the max distance was only 25 feet. Buy this 7 VDC transformer here. This is a 7-Volt DC transformer purchased separately to add the ability to run an 18 AWG power cable up to 100 feet for powering the IQ2. The included transformer of the IQ Panel 2 is only 5.5 VDC, and it must be 25 feet or less. Using the Qolsys QR0051-840 can greatly improve this distance. 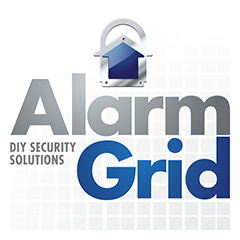 Having a reliable transformer is extremely important for any alarm system. This is what will keep the system powered on at most times. Although the panel will have a battery backup for when the power is lost, this will only keep the system running for about a day. So in most cases, the IQ Panel 2 or IQ Panel 2 Plus System will be running on AC power provided from its DC transformer. And unlike the standard transformer that comes with the system, this 7-volt transformer has much less of a restriction when it comes to wiring length. For some users, this will greatly improve their flexibility when choosing a location for their IQ Panel 2 System.